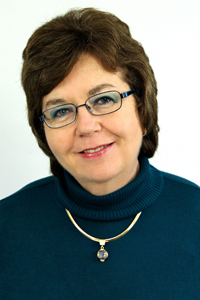 Eileen Ó Dúill, has been a professional Irish genealogist since 1990, specializing in legal and probate genealogical research. She is currently the only Certified Genealogist in Ireland. She is a member of the Association of Professional Genealogists and served on the board of the as the International Trustee for Britain and Ireland (2007-2012). Eileen has lectured at national and international conferences in the US, Ireland, Canada and the U.K. from 1999 to 2014 and co-presented a webinar on Irish genealogical research for Ancestry.com. She was a course tutor and lecturer on the Diploma in Family History (Genealogy) at the Independent College, Dublin and currently teaches on the summer school programme at University College Cork. She has been admitted as an expert witness in the Surrogate Courts in 6 counties of New York. Eileen was able to turn a lifelong hobby into a business providing a professional genealogical research service. Being an American living in Ireland for 39 years, has enabled her to have a unique perspective on both sides of the Atlantic Ocean and an understanding of her fellow countrymen in their quest for their Irish heritage. This week, since Eileen and I talked quite a bit about public speaking, let’s warm up to the idea and get you thinking about incorporating public speaking into your offerings. You won’t actually try to arrange any public speaking engagements. First we need to make sure you are prepared in advance. Think of a topic or project that you could turn in to a potential talk. If you are brand new to public speaking stick to a beginner topic or a subject that you know inside and out. To do public speaking you will need to have a laptop computer (or borrow one) and have the corresponding software. For Windows computers this is typically PowerPoint. Keynote for Mac users. If you don’t have this equipment currently can you plan to get it in the future or can you borrow it for your talks? Select a location to target for your first talk. Ideally it will be a local historical society, genealogical society or local library. Hopefully you have already established some relationships with the folks in these organizations. If not, go back and do your networking first.